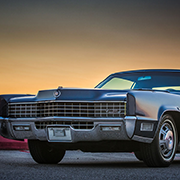 58 featured in magazine | Geralds 1958 Cadillac Eldorado Seville, 1967 Cadillac Deville,1967 Cadillac Eldorado, 1971 Lincoln Continental Mark III and 1978 Cadillac Eldorado Biarritz. 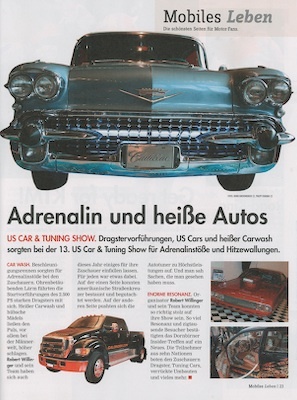 When I opened the newspaper this morning there was a full page report of the US-CAR-SHOW in Dornbirn. Guess what - they only had 4 images and my 58 was featured with a half page image!! You can click on the image below for a larger version!